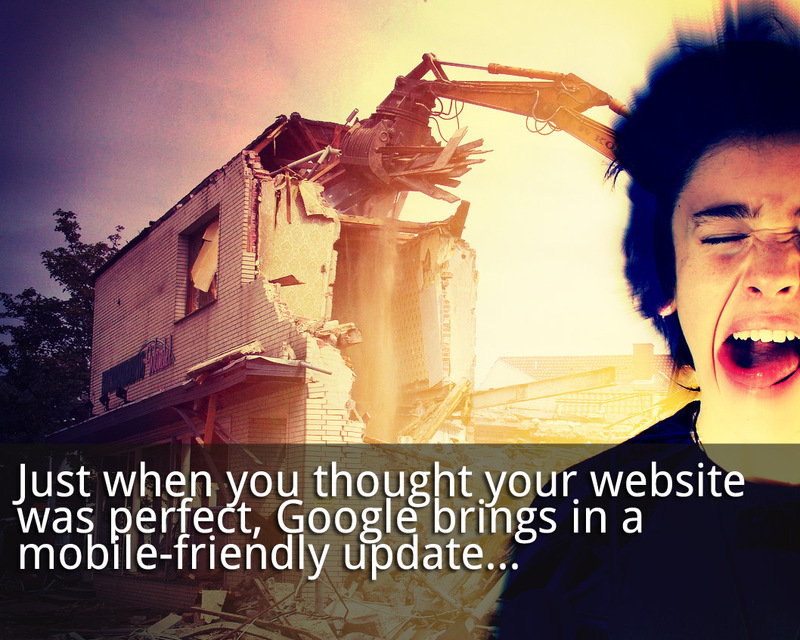 Google’s mobile-friendly update (a.k.a erroneously as Mobilegeddon) has people talking once again about how important responsive or mobile friendly sites are. But what if you’ve spent a lot of time and money on getting your website to look and work the way you want it to, but it isn’t mobile friendly; do you have to start all over again, and go through the whole process? The mobile market is (and has been) steadily growing. At Davos last year Marissa Mayer, the CEO of Yahoo (and former Google Vice President of Product Search) Marissa Mayer at Davos predicted Mobile Tipping Pointthat by the end of the year a Mobile Web vs PC Search tipping point would be reached – where Yahoo are getting more searches from mobile traffic than standard PC. And that tipping point is widespread – not just for Yahoo. You might be one of the exceptions, but if you’re going to have a website that’s difficult to use in a mobile browser, you should have a really good reason for it. There doesn’t need to be panic involved. The Google mobile friendly update is more about recognising mobile friendly sites than penalising non mobile friendly sites. You’re not going to disappear into the search engine wastelands overnight – so take the time to consider your options. Now is a good time, though, to make the conversion. You don’t need to throw out the baby with the bathwater. Using responsive frameworks like Foundation or Bootstrap, most sites can retain the same layout and design, while adding new mobile layouts. You can get the best of both worlds. It doesn’t have to cost the earth. Get in touch with us for a free quote – you might be surprised at how little it costs, and how well your new site will work.